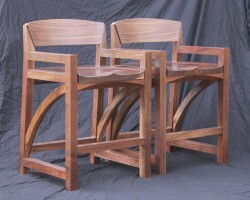 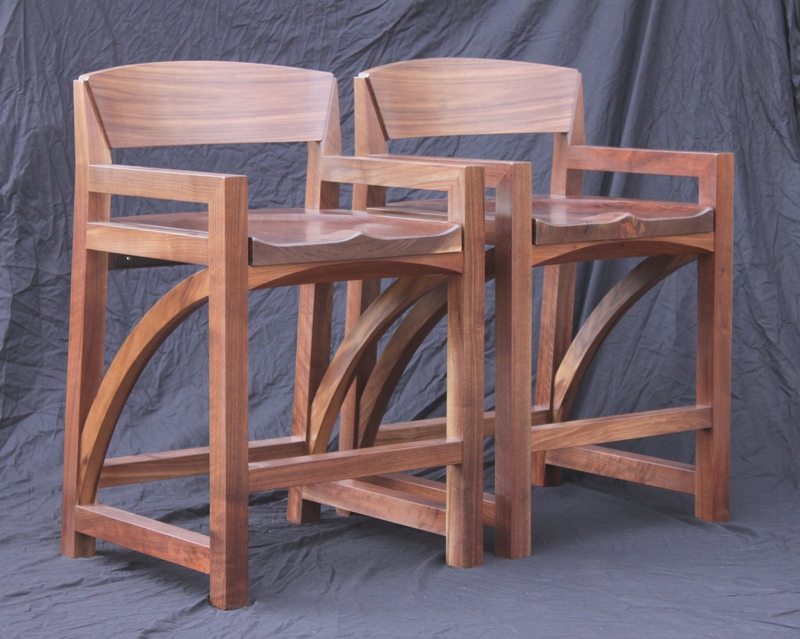 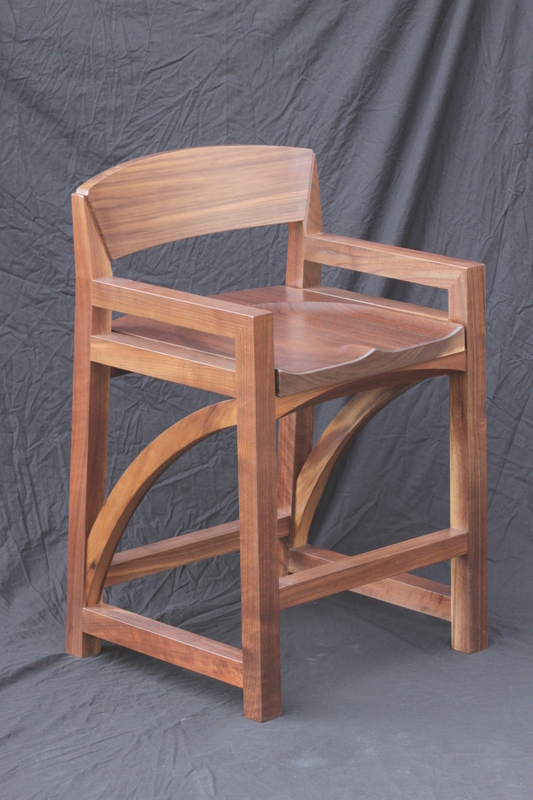 These tall chairs were designed and created to fit around a large kitchen island. 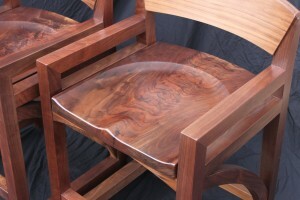 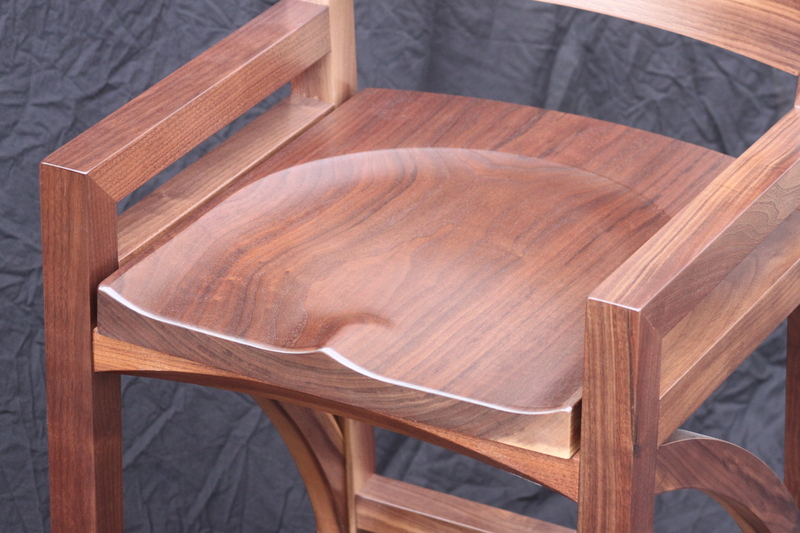 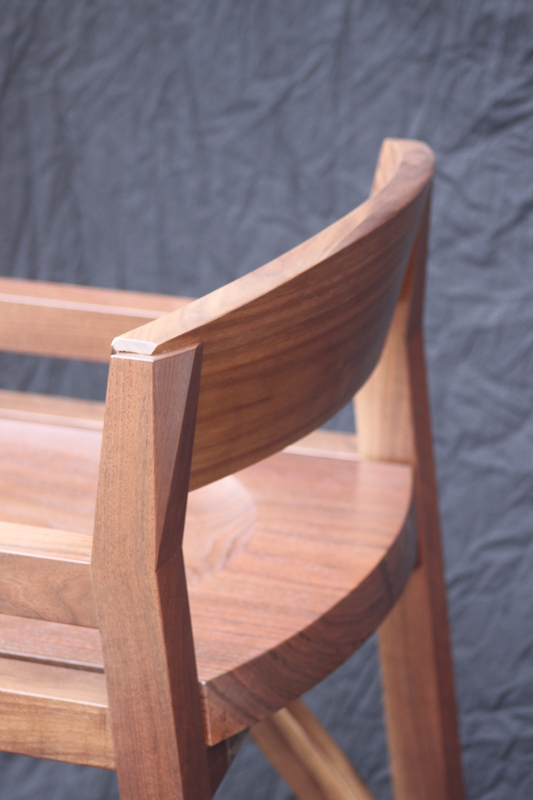 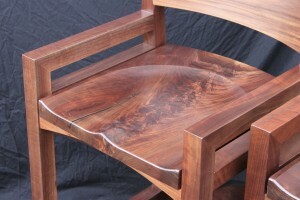 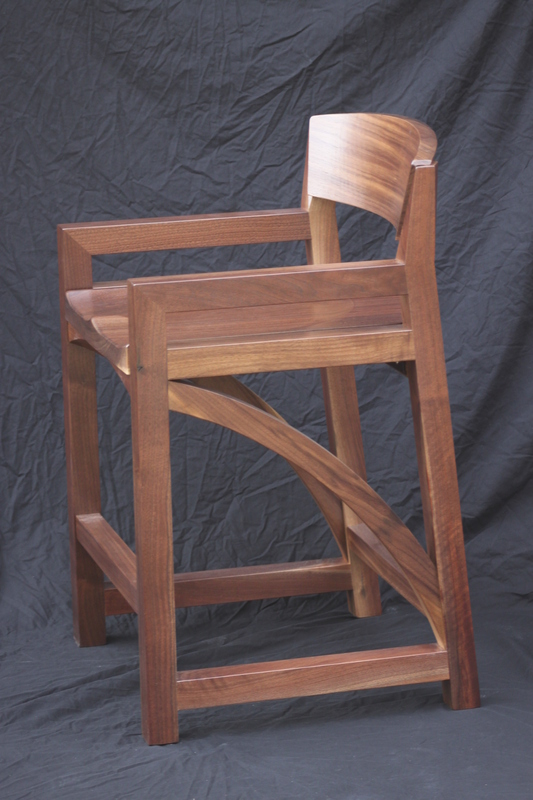 The seats were each carved out of thick slabs on the table saw using a specialty jig. 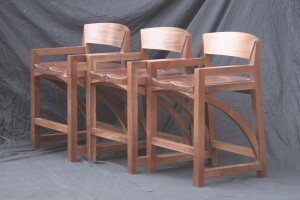 This was a set of four, although only three are pictured.